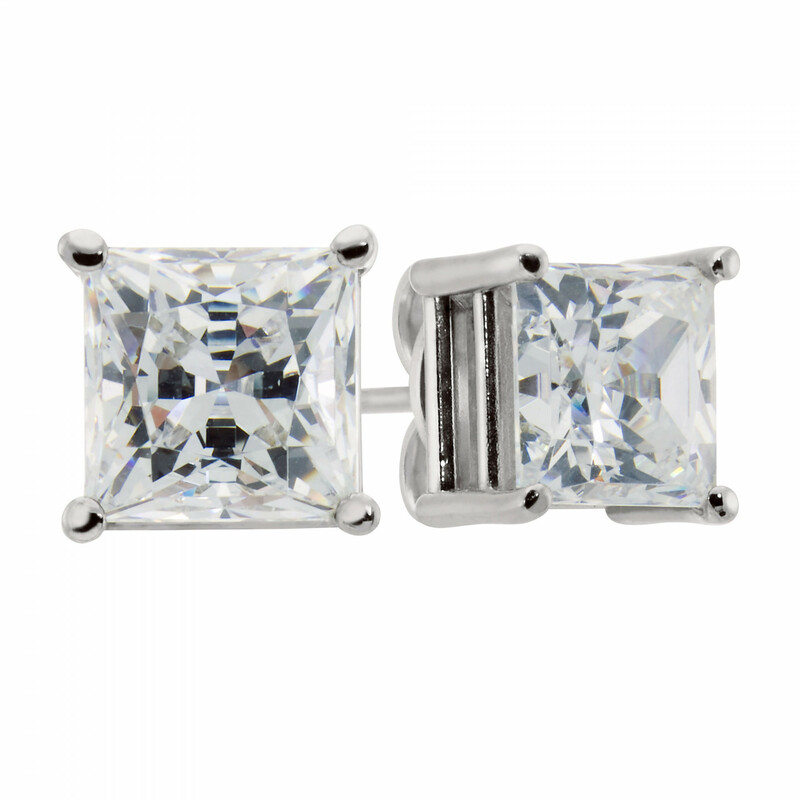 Princess Cut Studs, Tension Back, Basket Set - 0.99cts Each was added to your cart. Light up your look with these bestselling stud earrings! These refined solid 14k white gold settings show off a pair of Princess cut diamond simulants in basket settings: a popular favorite for every age! Click here to get the earrings and pendant in a matching set and save! Immediate Ship item: order before 2:00 pm CST and this piece will ship on the next business day. Please allow an extra 3-4 business days if you choose the certified stone option. Choose a shipping method according to your timing needs.